Lagerstatus: Beställningsvara - betala med faktura efter den skickats . Chicago Iron has painstakingly re-engineered the famous 1970's Tycobrahe Parapedal circuit with exacting detail and precision. You can tell a Parapedal when you hear one. It is the one with the huge sweep and a phaser-like or synth-like second effect that tracks with the first wah tone. The circuit has a built in volume dive that no other pedal has. At the end of the heel stroke, the pedal creates a loss in volume and brightness that has to be played to believe. It swells your sound with a combined sweep that is very human-like. It is referred to as a wah pedal but it is so much more. Many recording artists of the '70's fame used one back then. 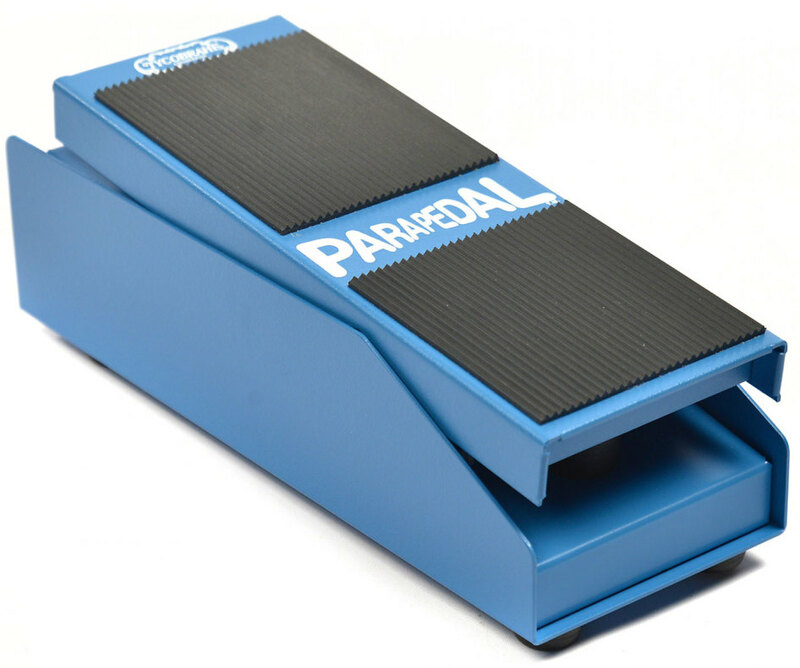 There is not another pedal that sounds like the Parapedal and it is unfortunate that such a small amount were produced- hence it's value as a players and collectors item! ...now you can get yours, and you can afford it too! Chicago Iron has invested many hours in re-engineering this circuit to be authentic in it's manufacture and performance, so you can once again enjoy the fantastic vintage sounds of the original Tycobrahe Parapedal. Yes, they are true bypass also. Add one to your arsenal!